Diamonds have been a symbol of romance, luxury and commitment for over a century and even during economic slumps, diamonds continue to be mined, sold and bought all over the world. Diamonds are typically mined by mining companies specializing in diamonds. They are then sorted and categorized depending on the rough diamonds’ different qualities. Each sorting facility also has its own categorizing standards. The sorted rough diamonds are then sold or auctioned in bulk to diamond manufacturers and jewelers. The rough diamonds are polished, cut and sold as is or are set into rings, lockets and other jewelry pieces. In the US alone, diamond jewelry revenues are estimated at $24 billion in 2012. Online jewelers like BlueNile.com has made it easier for consumers to buy diamond jewelry. For over 100 years, De Beers had a monopoly over the mining and selling of the world’s diamonds. Diamond prices were largely controlled by De Beers as it controls the world’s diamond supply. The monopoly started to break in 2000 when producers from Canada, Russia and Australia decided to sell the diamonds they mined directly to manufacturers instead of using De Beers as a middle man. This new direction in diamond distribution has allowed diamond mining and production companies to be independent from De Beer’s influence and to become major players in the diamond industry. This list features the five largest diamond companies and are ranked according to their revenues in 2012 which the companies published in their annual reports or investor materials. It goes without saying that De Beers is included in this list but it is interesting to note that several companies are looking to expand their operations to increase their diamond production in the coming years. Formerly called the Harry Winston Diamond Corporation, the Dominion Diamond Corporation (DDC) is headquartered in Toronto, Canada and mines the majority of its diamonds from the Diavik Diamond Mine in Lac de Gras in Canada. The Diavik mine is Canada’s largest mine and is co-operated by DDC and the Rio Tinto Group though DDC has sole ownership of the mine. The company was founded in 1994 shortly after the Diavik Diamond Mine was discovered and was initially called the Aber Diamond Corporation. In 2004, Aber bought 51% of Harry Winston Inc., a retail brand selling luxury jewelry and watches. By 2006, Aber has full ownership of Harry Winston Inc. and the company changes its name to the Harry Winston Diamond Corporation and gets listed at the New York Stock Exchange. Just this year, the company divests Harry Winston Inc. and gains majority interest in Ekati Diamond Mine and changes its name (again) to Dominion Diamond Corporation. DDC mines rough diamonds from Diavik and Ekati and then sorts the diamonds in its Toronto sorting facilities according to its weight, clarity, color and shape. It then ships the sorted diamonds to its sales offices in Antwerp and Mumbai. DDC directly sells its diamonds to manufacturers and retailers including Tiffany & Co. Up to 75% of DDC’s diamonds are sold in the open markets in Antwerp and Mumbai. In the third quarter of 2013 alone, the Diavik Diamond Mine has produced 1.7 million carats while in Ekati, about 400,000 carats was mined during the same period. DDC looks to expand its mining coverage in Ekati where the company will be able to acquire diamonds that can be priced at approximately $247 per carat. DDC prides in its sustainable mining practices that minimize the negative environmental and social impact of diamond mining. The company also uses the CanadaMark™ diamond program which guarantees that the diamonds are mined in Canada, untreated, tracked “from mine to retail” and meets stringent quality standards. Debswana is a Botswanian diamond company that owns and operates four mines in the country namely Orapa, Letlhakane, Jwaneng and Damtshaa. Debswana is essential in the economic growth of Botswana and its diamond sales has helped transform the country from one of the poorest in Africa to one of the fastest growing economies in the world. Debswana accounts for 70% of Botswana’s export earnings and up to 50% of the country’s revenues. Debswana is a 50/50 joint venture between the government of Botswana and De Beers. All diamond mining activities in the country are controlled by Debswana and unlike in other countries, there are no private mining operations. Orapa is considered as the second largest open pit mine in the world and can produce up to 9 million carats annually. The Jwaneng Mine on the other hand is considered as the world’s richest mine. Operations in Jwaneng accounts for up to 70% of Debswana’s total earnings. According to a De Beer’s report, Debswana is “the world’s largest diamond producer by value”. In 2012 alone, the company produced 20 million carats from its four mines. Diamonds mined from Orapa and Jwaneng go through sorting in facilities found within the compound. The diamonds are sorted using a completely hands-off method using x-ray and laser technology in order to increase the processing capacities at these mines. The same technology is being set up in other mines. Debswana greatly benefits from De Beer’s massive reach in the diamond market. After the diamonds are sorted and categorized, the company sells the diamonds to its retail partners though a huge chunk of the mined diamonds is sold through De Beer’s Diamond Trading Company. The Rio Tinto Group is a British-Australian multi-national company involved with mining minerals. It was founded 1873 and is headquartered in London but has a management office in Melbourne and a marketing headquarters in Antwerp for its diamond operations. Rio Tinto Diamonds is the diamond mining and production arm of the Rio Tinto Group and operates three mines. The oldest mine in Rio Tinto’s portfolio is the Argyle diamond mine which they have full ownership of. The mine is located in Western Australia and is one of the main sources of the world’s pink diamonds. The second mine is the Diavik diamond mine (mentioned earlier) which it owns 60% of. The Dominion Diamond Corporation owns the other 40% of the mine. Though the Diavik mine has smaller ore deposits than other diamond mines, it is known for the higher quality of diamonds that it produces. Diavik produces up to nine million carats of diamonds per year. The third mine is the Murowa Diamond Mine in Zimbabwe which they have 78% ownership of. It mines diamonds at a smaller scale compared to the other mines the company operates and only produces 200,000 carats per year. Diamonds from all three mines account for 20% of rough diamonds that make it into the market annually. 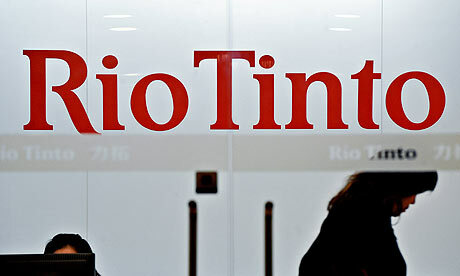 The mined diamonds from Australia, Canada and Zimbabwe are sent to Rio Tinto’s sorting facilities in Antwerp, Belgium. The rough diamonds are categorized and valuated before being sent to Perth, Australia for cutting and polishing. The finished stones are sent to diamond markets in Hong Kong, the US and India. Rio Tinto Diamonds is a mine to market company. It basically means that the diamonds being sold to retailers and distributors were mined in Rio Tinto’s mines, have gone through the company’s stringent sorting and valuation and were cut and polished following their quality standards. Rio Tinto Diamonds recently became the first foreign country to be given a prospecting license to explore diamond mines in District Chhatarpur, Madhya Pradesh, India. This project is formally known as the Bunder Project. ALROSA became one of the few diamond companies that could rival the legendary De Beers after the discovery of the Verkhne-Munskoye diamond field in 2007. This new source is estimated to hold up to $3.5 billion in rough diamonds and is exclusively operated and mined by ALROSA. ALROSA operates in the Yakutsk region in the Sakha Republic in Siberia. The company mines its diamonds from nine major fields plus 10 alluvial mines with two under development and four ongoing expeditions, all in Russia. ALROSA also has a 32% share in the Catoca mine in Angola. Russia is the second largest producer of diamonds in the world and ALROSA accounts for 94% of the country’s total diamond output. In 2012, ALROSA was able to produce 34.5 million carats of diamonds, the most in the world that year. ALROSA was unable to beat De Beers in diamond revenues because although ALROSA mined the most diamonds, it got edged out in the quality of the diamonds mined. ALROSA is responsible for up to 25% of the world’s diamond in circulation and like most of the companies on this list, it is also a mine-to-market company though it mostly operates within the Yakutsk region. Diamonds mined from fields are sorted, categorized and valuated by the Yakutsk Diamond Trading Enterprise of ALROSA (YAPTA). The YAPTA also markets the rough diamonds to its clientele of diamond manufacturers in the Yakutsk region. ALROSA also distributes diamonds through the United Selling Organization (USO) and Brilliantly ALROSA both based in Moscow. USO also valuates, sorts and categorizes rough diamonds for selling in other parts of Russia and abroad. USO is a division of ALROSA and operates under its name. Brilliantly ALROSA on the other hand is a diamond manufacturer that cuts and polishes rough diamonds and is the biggest diamond manufacturer in Russia. This branch sells up to $140 million in polished diamonds per year. 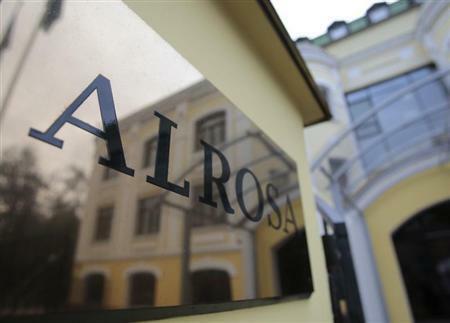 Brilliantly ALROSA sells cut and polished diamonds to jewelry setters and retailers all over the world. In 2012, ALROSA signed a long-term contract to become a provider of rough diamonds to major diamond jewelry retailers Tiffany & Co., Rosy Blue and Chai Tai Fook in Hong Kong. De Beers’ name is anything but flawless, however. Critics love to point out that the De Beers Group was formed in order to control and monopolize the diamond industry so that it can control the supply and demand of diamonds and by extension, diamond prices. For decades De Beers was accused of being and running a diamond cartel and it was only in the past years where it was observed that actual market forces were controlling diamond prices and not De Beers. Despite the bad rep that the company has received for decades, it has remained as the world’s top diamond company operating in 15 mines in four countries. Its operations in Botswana is a 50/50 joint venture with the country’s government through a company called Debswana. In Canada, the company operates through De Beers Canada which owns Snap Lake mine and Victor mine where it operates. The other companies on the list may run a mine-to-market operation but De Beers takes it a step further. Under the De Beers Group is the Diamond Trading Company (DTC) which is the rough diamond sales and distribution branch of the company. It is also the largest supplier of diamonds in the world in terms of value. The DTC sorts, valuates and categorizes the rough diamonds mined in Botswana, Canada, South Africa and Namibia. The sorted diamonds are sold simultaneously to sightholders in London and Kimberley, South Africa 10 times a year. Sightholders are diamantaires who are given permission by the DTC to participate in “sights”, the term used for the selling event of rough diamonds. De Beers also sell set and polished diamond jewelry through its De Beers Diamond Jewellers Ltd. arm which is a retail joint venture with the Louis Vuitton Moët Hennessy Group (LVMH). They now have over 50 store locations all over the world.